New and powerful Galaxy Note 9, Galaxy Home speaker, Galaxy Watch and more. Samsung today added a new star to its Galaxy Note series line-up. The Korean tech giant unveiled the new Galaxy Note 9 smartphone at the company's Galaxy Note Unpacked 2018 event. The company also showcased the new Galaxy smartwatch and a new smart speaker- Galaxy Home to rival Amazon Echo, Google Home, and Apple Homepod. Besides, the big yearly event also talked about the improved Samsung Dex experience on Galaxy Note 9 and Galaxy Tab 4. While we were not able to witness the event in person, we tuned in to live streaming to keep a close eye on all the announcements and everything that matters to end-users. That said, here are the key takeaways from the Galaxy Note Unpacked 2018. Samsung Galaxy Unpacked 2018 started with a video showing users criticizing the first and second generation Galaxy Note devices for their gigantic screen sizes. The focus soon shifted to the fact that people soon developed a liking for big-size devices after the Galaxy Note lineup. In a way, Samsung wanted to prove that the trend for big-screen devices was initiated by the company's Note series products. Having said that, Samsung's Galaxy Note 9 pushes the limits even further. It sports a massive 6.4-inches Quad HD+ (1440x2960 pixels) Super AMOLED Infinity Display, making Note 9 the biggest Galaxy Note device to date. 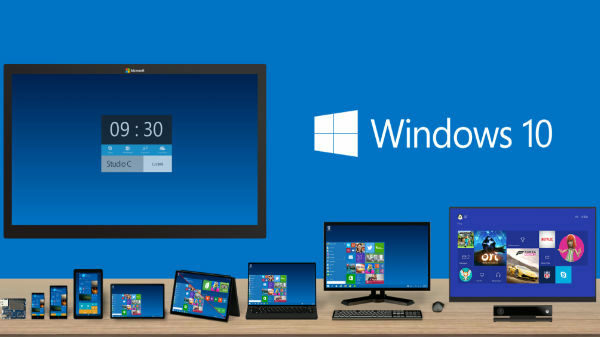 The Quad HD+ screen comes in 18.5:9 aspect ratio and offers a pixel density of 516 pixels per inch. 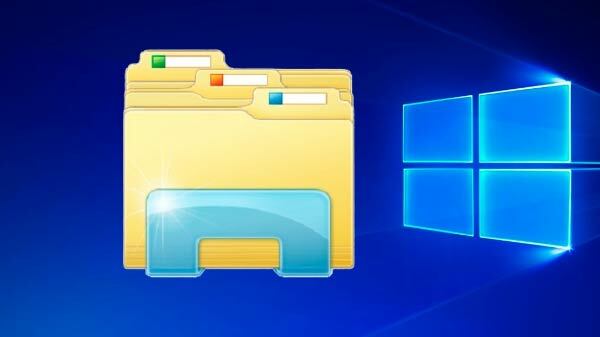 The 128GB storage limit is gradually becoming a standard feature in smartphones. Samsung wants its Note devices to offer more inbuilt memory to end-users and is taking mobile storage to next level with the all-new Note 9. The Galaxy Note 9 will be the first handset in Galaxy line-up to ship with a 512GB internal memory variant. 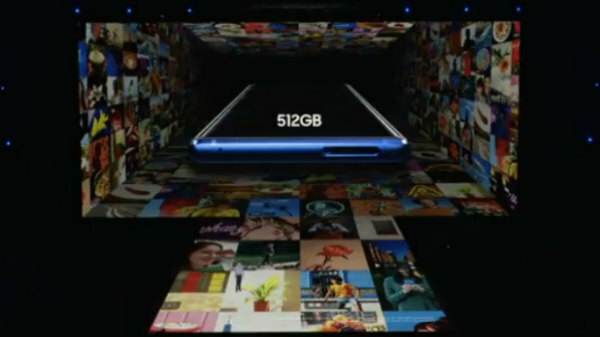 Moreover, the 512GB internal memory can be expanded to 1TB via a 512GB microSD card. With 1TB storage, Galaxy Note 9 will be a storage master. Honestly, S Pen never seemed too interesting and mostly worked as a note-taking tool, until now. The Galaxy Note 9 ships with a smarter and capable S Pen. It seems like a different game altogether. The new S Pen has some pretty new functions. It works on Bluetooth low energy module and can be used as a remote control for a number of tasks. You would be able to use it to play and pause videos, flip through slides in PPTs, click pictures, send live messages, lead presentations and even show the content on a big screen with in-hand control movements. 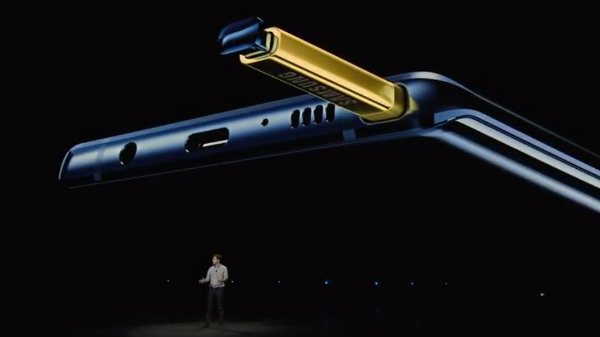 Interestingly, the new S Pen ships with its own battery that gets charged automatically in the Note 9's stylus holder. As per Samsung, 40 seconds of charging allows you to use the new S Pen for 30 minutes. The Samsung Galaxy Note 9 will be available in four different colors. 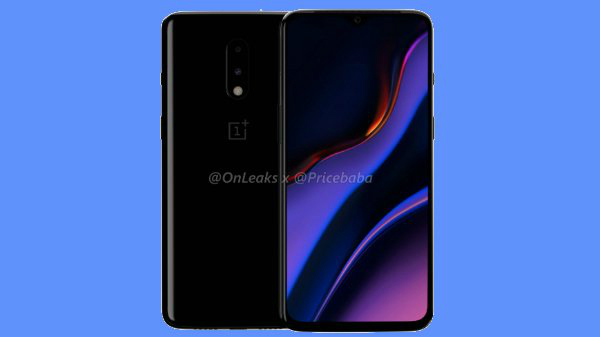 Users would have the option to buy it in Midnight Black, Metallic Copper, Ocean Blue, and Lavender Purple color variants. The Galaxy Unpacked 2018 made a big announcement that must have surprised the avid gamers. The Fortnite game for the Android platform will debut on Samsung Galaxy Note 9 in the beta version. Moreover, it is said that the game will also run on a range of recent Samsung devices- the Galaxy S9 / S9 Plus, Galaxy Note 8, Galaxy S8 / S8 Plus, Galaxy S7, Galaxy S7 Edge, and even on Tab S3. The game will be made available via Samsung's Game Launcher app and Epic's new installer. Fortnite is known to deliver console-quality graphics and we couldn't wait to test it on new Note 9. It was also said that Note 9 users will get a Special Galaxy game-player skin. Samsung Galaxy Note 9 will also make the audio experience better with the Loudest AKG tuned stereo speakers. Samsung says that the new stereo speakers can render Dolby Atmos immersive audio for a life-like experience. To manage such powerful hardware features, Samsung has provided the first-ever 4,000 mAH battery unit on a Note device. The battery on Galaxy Note 9 supports both fast-charging and wireless charging. Samsung DeX also gets new improvement for seamless connectivity. It is built-in in the new Galaxy Note 9 and you would just need a Type-C to HDMI adapter to project your smartphone's display on a big monitor. Samsung also unveiled the new Galaxy Watch. The new watch is Water resistant and focuses big time on health. It tracks sleep patterns and shows quality sleep time on your wrist. The Galaxy Watch also syncs with your calendar to keep you updated with events and important meetings. 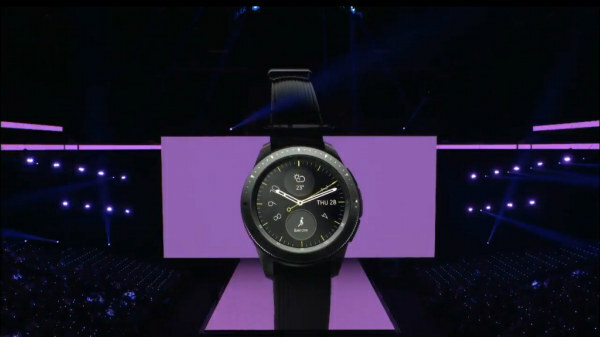 The smartwatch comes in a circular- rotating bezel and gets standalone LTE connectivity with call and text support. It sports an AMOLED display, promises a long-lasting battery life and supports over 60,000 watch faces. The Galaxy Unpacked 2018 event also marks a new beginning for Samsung in the entertainment department. The event was greeted by Spotify's chief executive Daniel Ek who informed the audience about the partnership with Samsung. 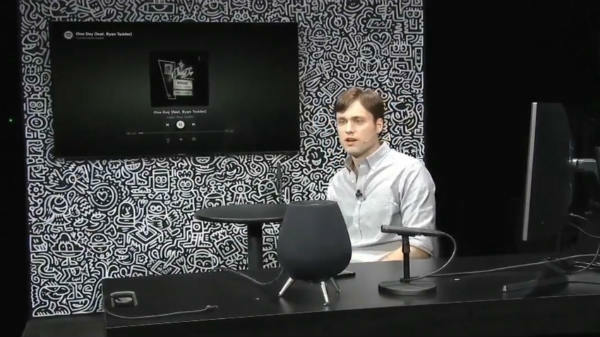 As per Daniel, Spotify will offer personalized music experience on Samsung devices. Make a note dear Apple. Hello Bixby! Why can't you get smart? Bixby 2.0 made an appearance at the Galaxy Unpacked 2018. Galaxy Note 9 will run the new assistant which is said to support natural conversations for smarter and quicker responses. All seemed and sounded good until the new Bixby's demo showed slow response times, making us hard to believe Samsung's claims. Last but not the least, Samsung Galaxy Home marks the company's entry into the smart speaker market. The Galaxy Home promises to offer better audio delivery than the Google Home and Amazon Echo. Galaxy Home is powered by six built-in speakers and a subwoofer. The smart speaker features eight far-field microphones to detect voice input. We couldn't wait to test the new Galaxy Home speaker to find out its audio delivery and smart features.